While some of my recipes stem from wonderful restaurant dishes, others are created out of disappointment. Take for example this vegetable pasta dish. I had gone to a favorite restaurant of mine, ordered their seasonal veg-friendly pasta, and received one of the most disappointing meals I’ve had in some time. The ratio of pasta to vegetables sat somewhere around 10:1 and there was no sauce. None. I’m not one for overly sauce pasta but this took that to an extreme. And so, I set out to right that pasta dish with an easy summer recipe. I love tossing all the summer vegetables into a pan- it’s hard to mess it up. Add to that a few chickpeas and enough cream/veg-friendly parmesan and you have yourself a meal. Use what you have on hand, swap the pasta for grains, or toss in some homemade pesto: everything is fair-game in this vegetable pasta! Read more and see the recipe. 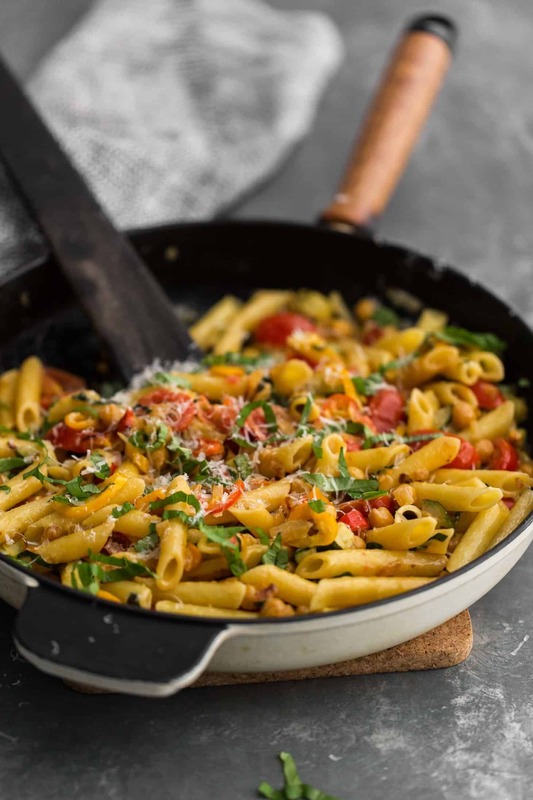 The post Summer Vegetable Pasta with Chickpeas appeared first on Naturally Ella.